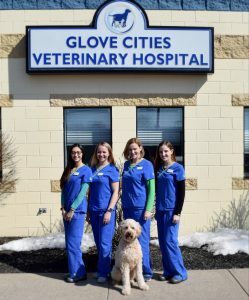 Happy First Day of Spring from all of us at Glove Cities Veterinary Hospital! The snow is melting and the sun is shining! In this 📸: Paula, Lindsey, Jennifer, Courtney and Maple the Goldendoodle.